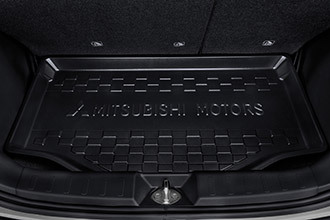 Protect your factory carpet from rain, mud, and snow with these custom-fit, easy-to-clean rubber floor mats. 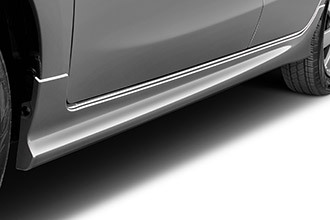 Help defend your doors from dents and dings with these attractive color matched moldings. 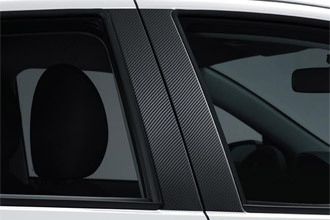 Decorative carbon fiber-look door trim adds some style to your Mirage's window pillars. 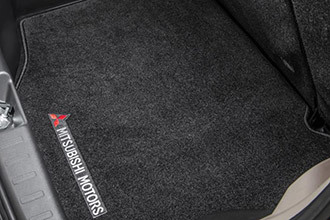 Add a little protection to your cargo area with this durable carpet mat featuring our distinctive logo. 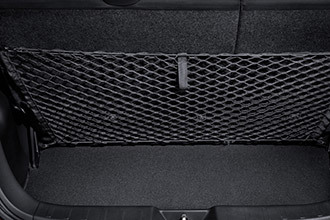 Keep small items from chasing each other around your cargo area with this envelope-style net. 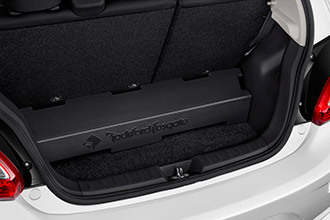 Protect your cargo area from dirt and spills with this water-resistant tray. 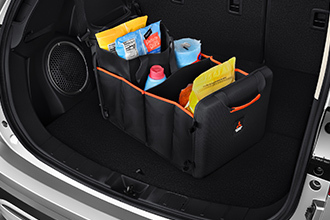 Makes clean up from trips to the beach or garden shop a breeze. 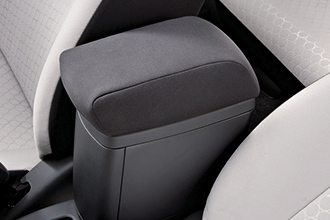 Add comfort to your drive with an armrest designed for your center console. 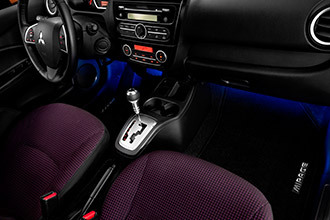 Blue LED lights adds a playful and high-tech look to your Mirage's interior. 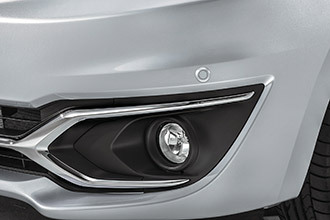 These halogen fog lights not only look great, they provide extra visibility in foggy conditions. 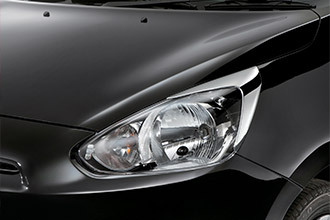 Add some shine and style to your headlamps with this bright chrome garnish. 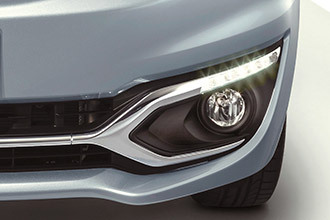 Look sharp and be seen with these LED daytime running lights. 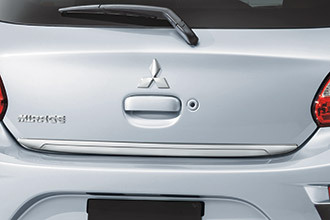 Show off your Mitsubishi pride. 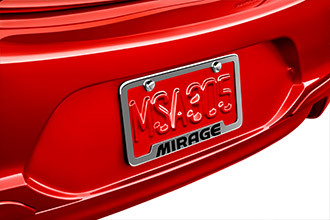 This license plate frame is an excellent finishing touch for your Mirage. 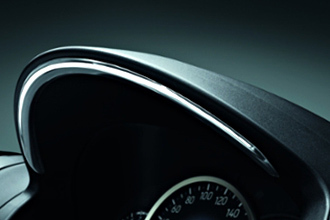 Add some shine and style to your dash cluster with this subtle chrome garnish. 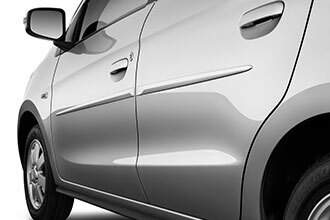 Decrease road spray and protect your Mirage from mud and other debris with color-matched front mudguards. 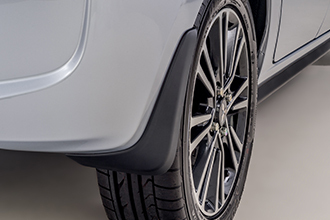 Decrease road spray and protect your Mirage from mud and other debris with color-matched rear mudguards. 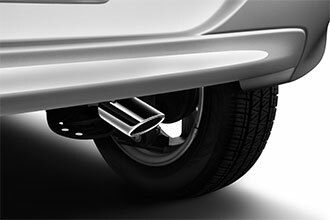 A little extra goes a long way, especially when you're rocking this polished exhaust finisher. 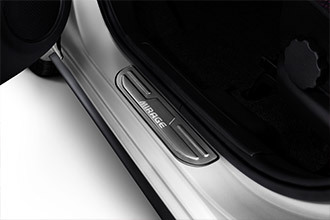 Upgrade the looks of your Mirage with these sporty rear bumper garnishes. Live where it's hot or cold? 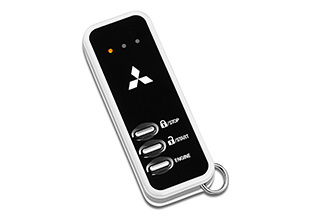 With the remote engine starter, you'll make your Mirage comfortable before you get in. 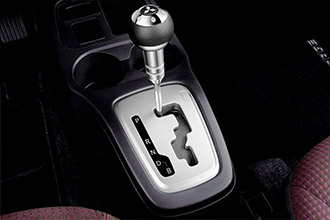 For CVT models only. Custom designed audio featuring a 300 watt amplifier and molded enclosure with dual subwoofers. 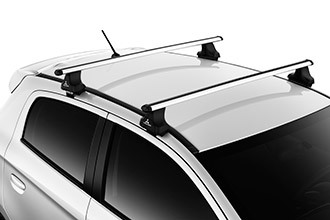 These aero style roof rack kit lets you attach various carriers and attachments to your roof; freeing up valuable space for your passengers and gear. 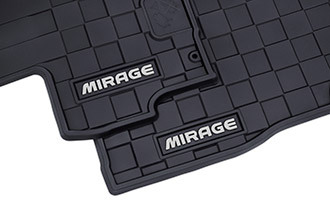 These durable and attractive scuff plates keep your Mirage's door sills from taking a beating. This aluminum/leather shift knob add a distinctive detail in your Mirage's interior. CVT models only. 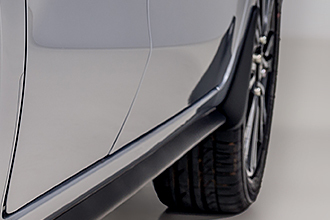 Upgrade the looks of your Mirage with these sporty, color-matched side sill extensions. Roll down the windows and take in the fresh air. 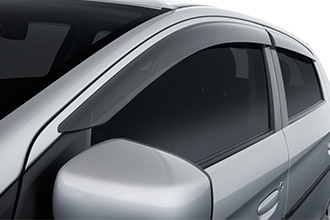 These side window air deflectors reduce the amount of direct airflow and wind turbulence inside your Mirage. 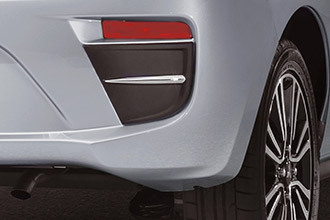 Protection and style are provided by this chrome tailgate garnish. 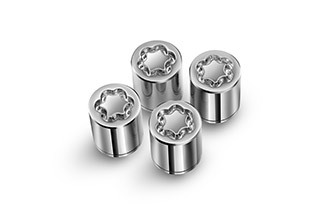 These sturdy locks help your alloy wheels stay put, no matter where you park your car.